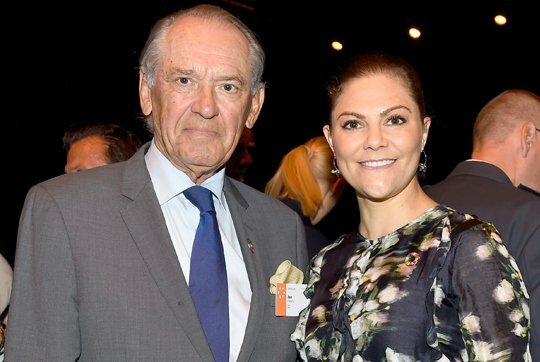 On June 11, 2018, Crown Princess Victoria attended EAT Stockholm Food Forum 2018 (EATforum18) held at Stockholm Clarion Hotel Sign. This year, comprehensive subjects such as climate changes, sustainable development, transformation of food system, biotechnology and economy of food systems are dealt with in the forum. I really wish Victoria would stop wearing H&M. I know it's a Swedish brand, and Victoria does a great job at representing Swedish fashion. But H&M is doing nothing for her, the clothes are becoming so frumpy. I really don't understand why Victoria is starting to dress so much older than her age. It isn 't so bad dress as other.It 's much better than for example during christianing of Adrienne. I like the style of the lady with the short & grey hair. She makes a great figure in this silver shimmery suit. Not the most easiest outfit by the way. But here it fits perfectly & the accessoires are well chosen too. It is Gunhild Stordalen, the world's best power woman! I admire her so much. 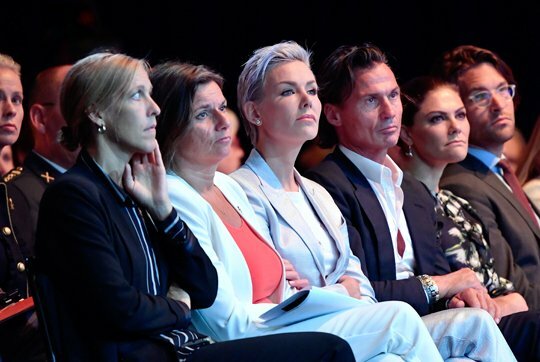 Dr. Gunhild Stordalen always wears a white or light-colored suit to EAT Stockholm, every single year. She's a Norwegian environmentalist and is the founder of EAT. She's no slouch; her 2010 wedding cost $5 million. That's her husband Petter beside her in the second photo. @Elin and Rosalie - tack sa mycket for this Information! One of the better dresses from h+m - Victoria looks great. I agree! It suits her very well. As they say "don't throw away the baby with the bath water". This is not a bad looking dress,but a little to dark and not really for Victoria it has some ruffles on it or something can't make it out to well. The best from this visit today is her presents and smile. The dress isn´t terrible, but it´s not great either. These floaty shapeless dresses do nothing for her. Pretty unflattering frumpy length as well. I cannot even make out what´s a ruffle and what´s part of the pattern. At least she ditched the ribbon/bow. Victoria is such a lovely lady, just wish dress were a bit shorter and hair was down. 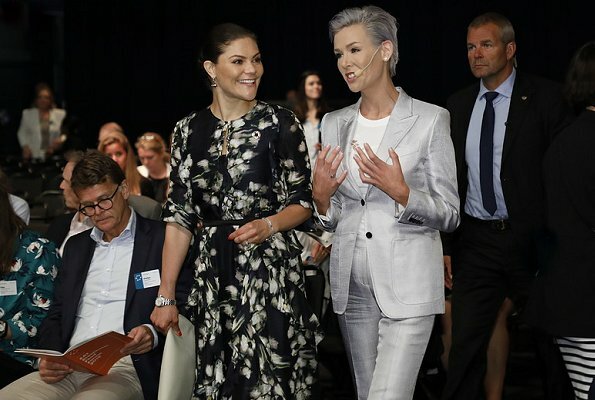 Amazing Gunhild Stordalen who is fighting Systemic Sclerosis and manages to look so good and work so hard with what she believes in. Now that is dedication!! !